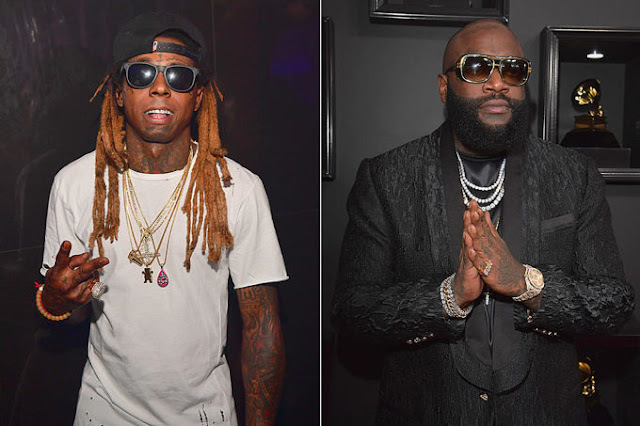 Rick Ross is bit faraway from Music since this year but that don't mean he wont drop any project.Well today a new song has surface online where Rick Ross,Lil Wayne team up with Jason Derulo on a new song called Broke Up. As you can see,Ricki Ross has show his ability and his keen in new Music. While we still expect more lyrically lines from Lil Wayne The Carter V, at leaset he have listen to most of the songs where he is guested. Last time here on Xclusive,Swizz Beatz Releases (Pistol On My Side) and Lil Wayne is also made appearance in the song and here comes another one but link with Rick Ross.The song is also available on LWHQ for stream but you can also check it out below. We are still remembering what Birdman said about The Carter V.According to what he said to Rap-Up,he mention that the album will be ready this year.since then we have listen few music from Lil Wayne which ‘Deep Sleep’ & ‘Blood Klot’.The possibility of the V album dropping this year is still unknown but we are still hopping though.